Bumblebees, such as this Bombus lucorum visiting an Eryngium flower in an urban allotment, are important urban pollinators. 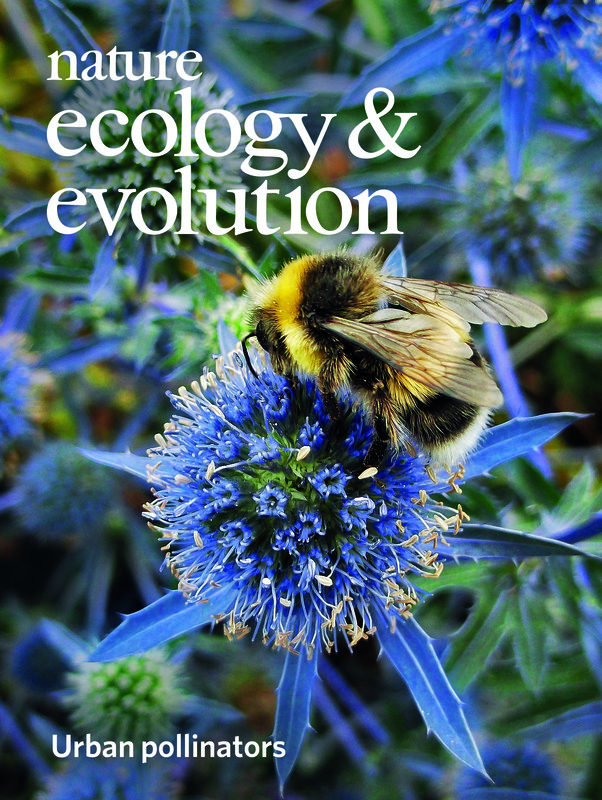 Analysis of plant-pollinator networks in UK cities shows that increasing the area of allotments and adding flowers to urban green space improves the robustness of city-scale plant-pollinator communities. Image: Nadine Mitschunas. Cover Design: Bethany Vukomanovic. Baldock et al. A systems approach reveals urban pollinator hotspots and conservation opportunities. Nat. Ecol. Evol. 3, 363-373 (2019).